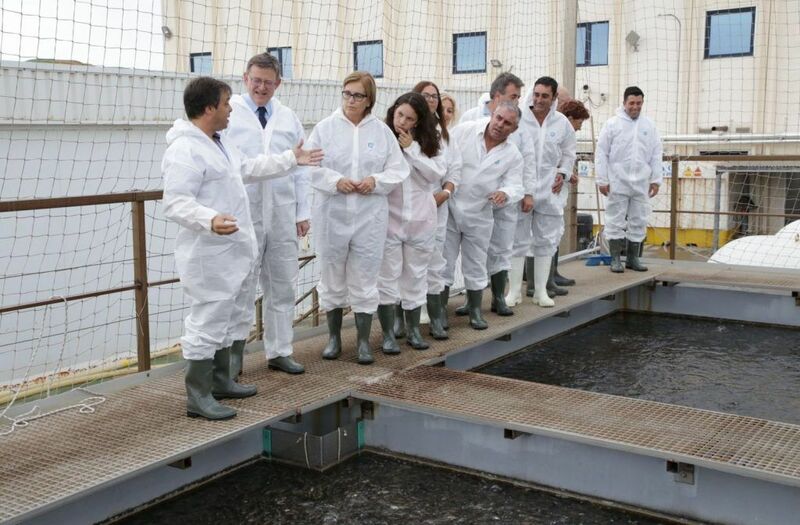 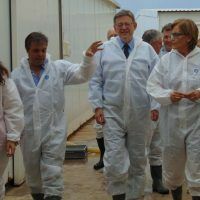 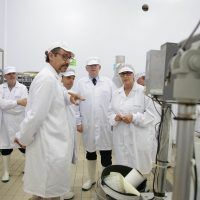 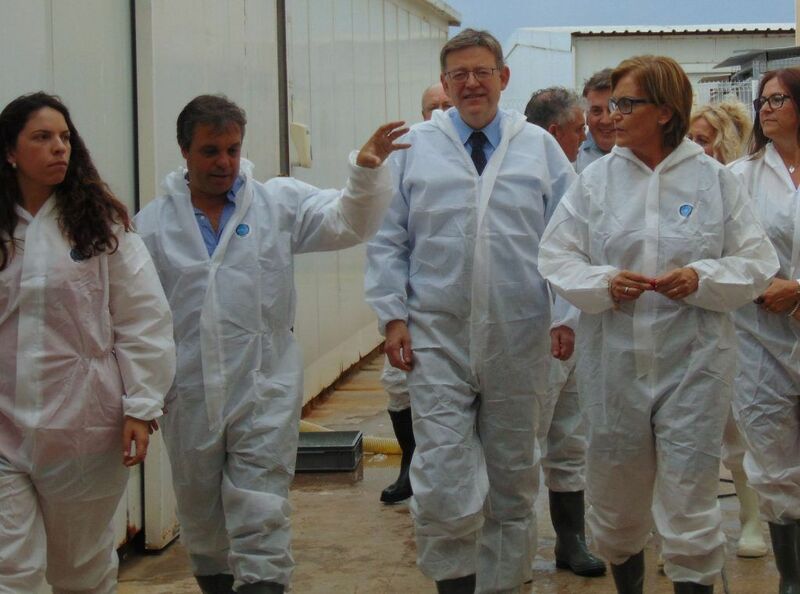 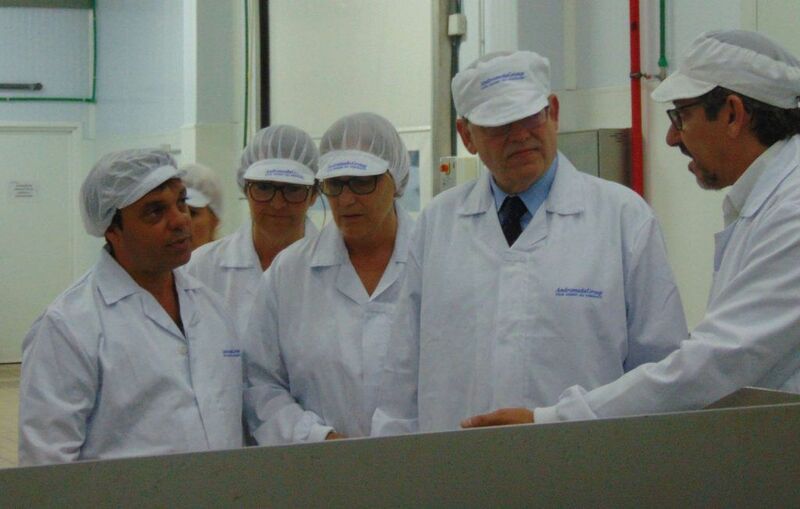 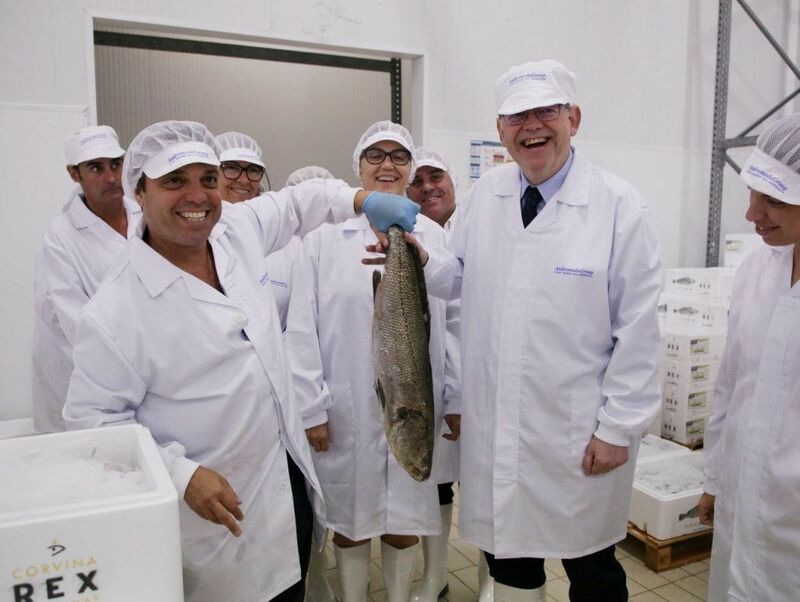 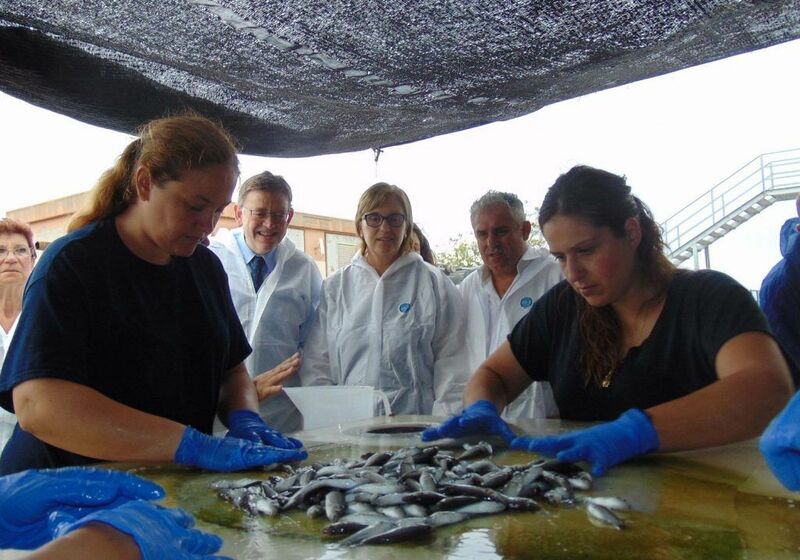 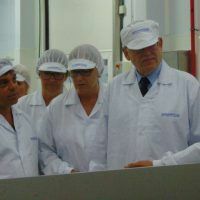 The President of the Generalitat Valenciana, Ximo Puig, visited Frescamar Alimentación facilities along with a representation of the Burriana municipal government team formed by its mayor, María José Safont, and some of the city council representatives. 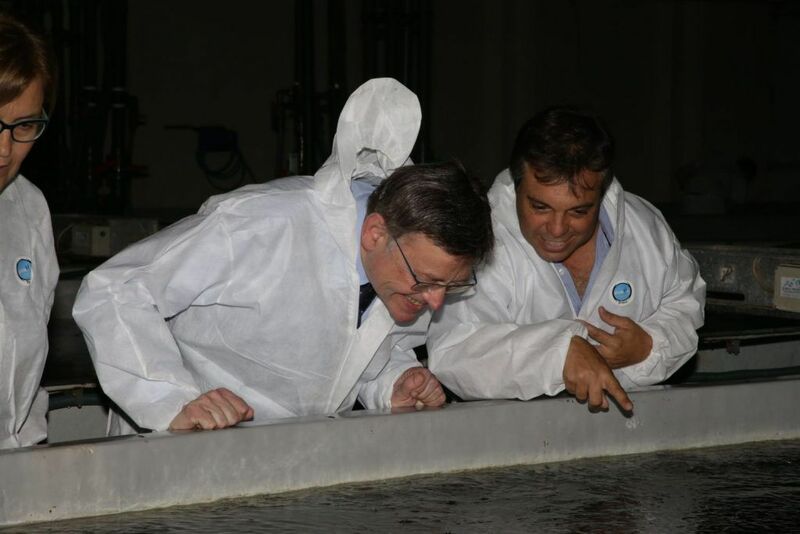 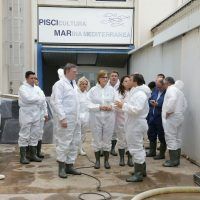 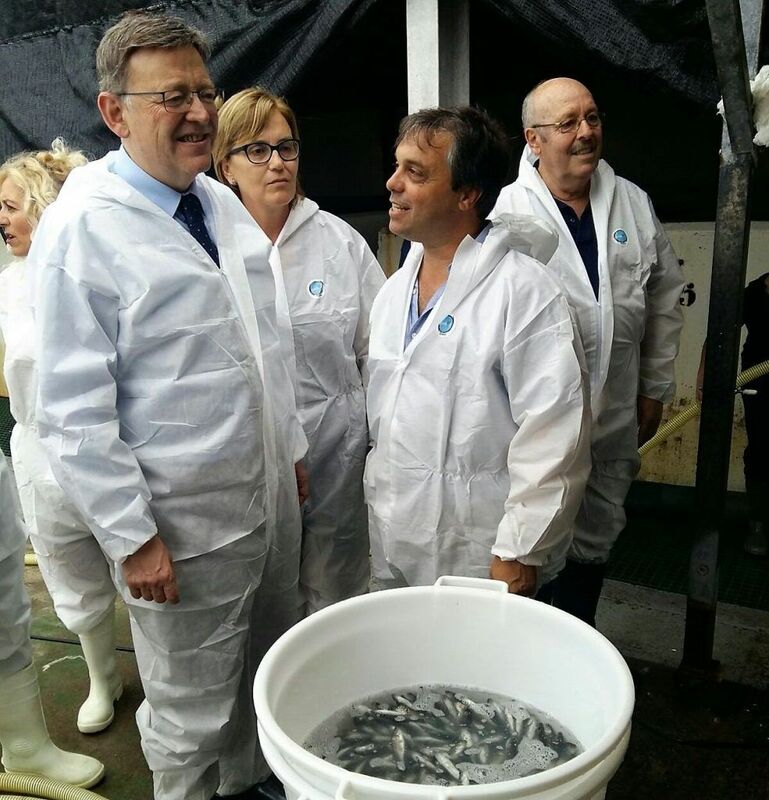 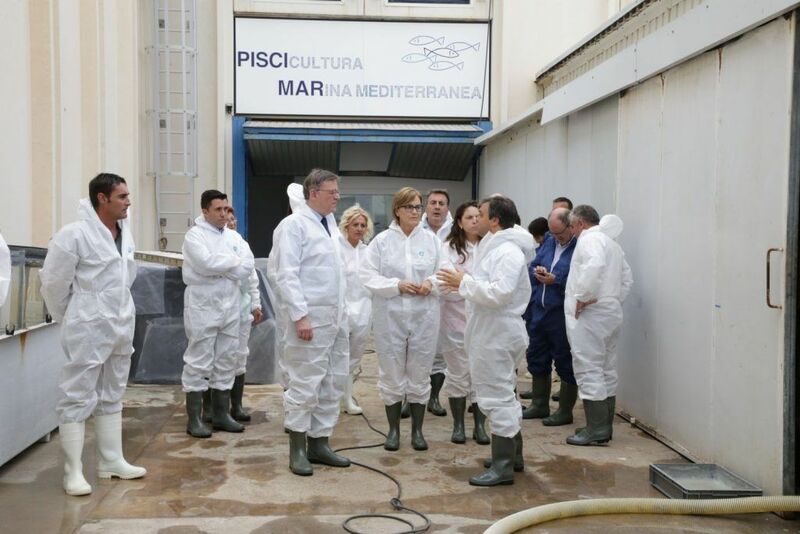 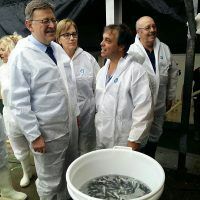 First of all, the entourage has visited the hatchery where the breeding and pre-fattening of fry for the farming of Corvina REX Frescamar, sea bream and sea bass take place. 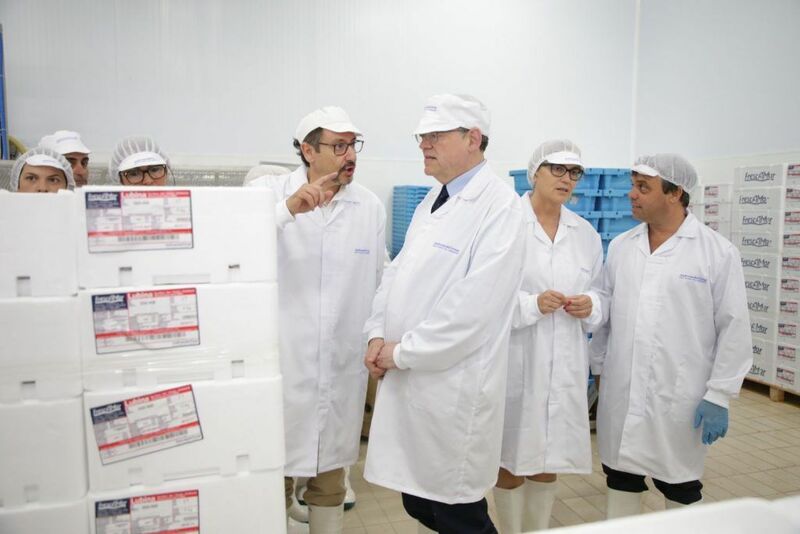 Afterwards they visited the processing plant where Puig highlighted the significance of all the internationalization work carried out by Valencian companies, such as Frescamar, in the agri-food sector, emphasizing their innovative capacity and their contribution to job creation. 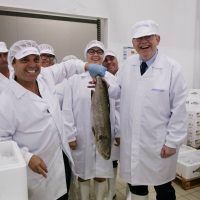 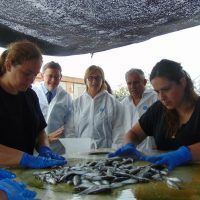 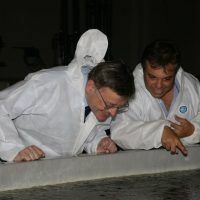 The company owns three farming centers, located in open sea waters at Valencian Community coast (Burriana, Calpe-Altea and Villajoyosa), in which the whole process is held with exhaustive control a total environmental.